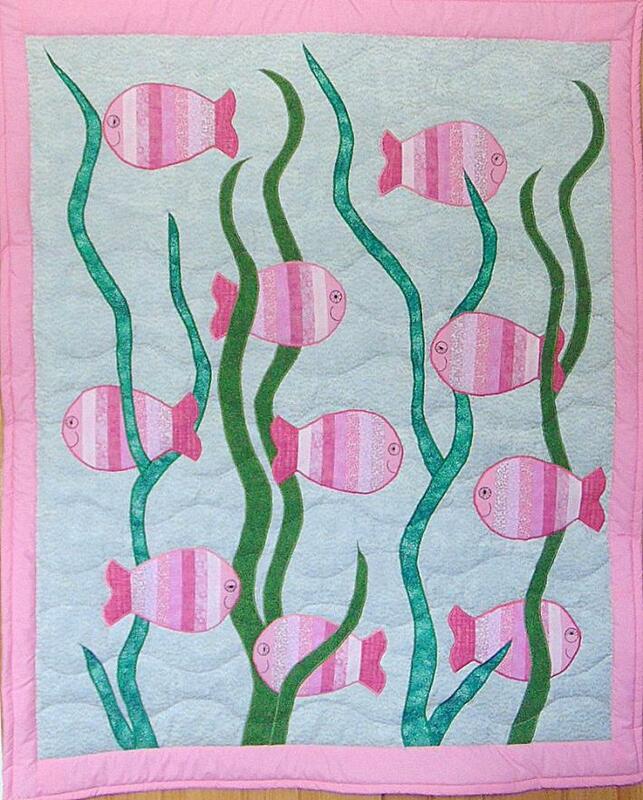 Here is a quilt which is as unique as that special baby girl! 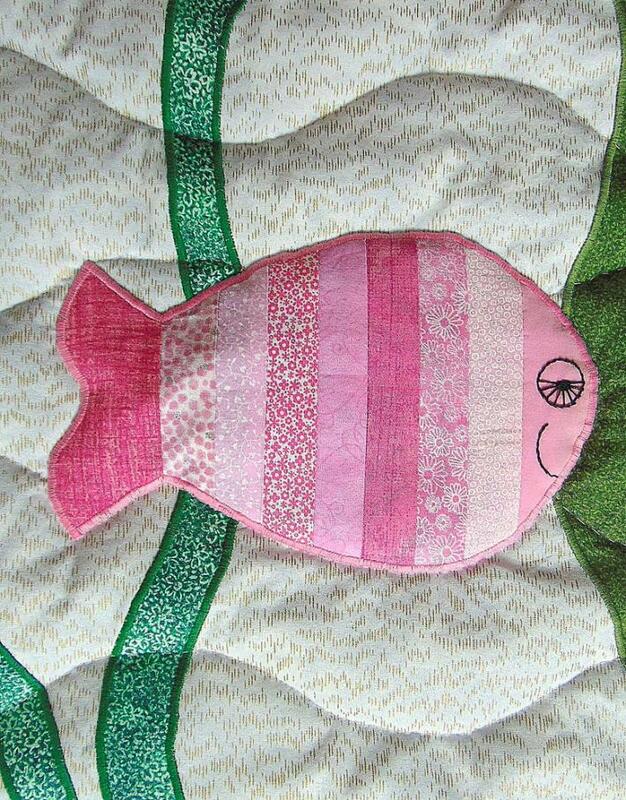 This hand-quilted quilt is entitled, Something's Fishy! It is full crib size, measuring 46 inches wide and 56 inches tall. 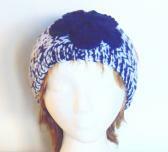 It is made from cotton and cotton blend fabrics, which means it is machine washable on cool/delicate settings. 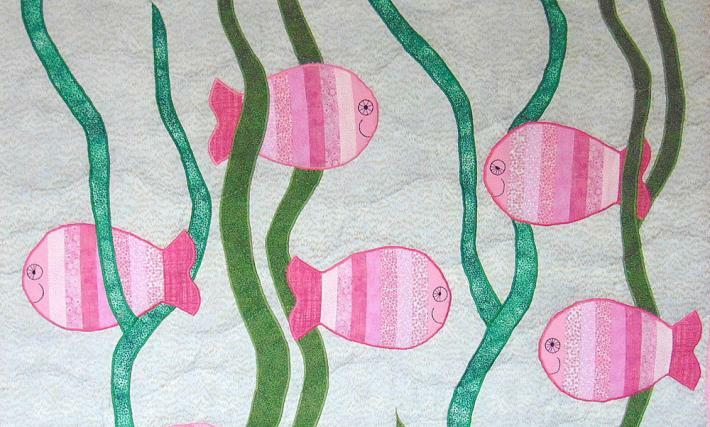 There's no point in having a baby quilt that can't be washed! 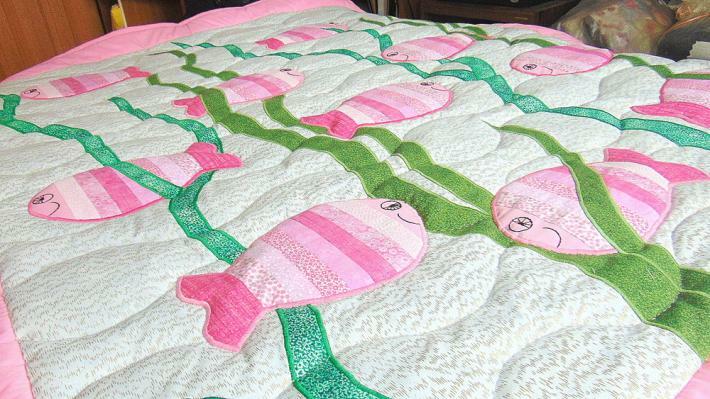 This entire quilt was designed, assembled, embroidered, quilted and bound by me. It is tagged, labeled, dated and signed. 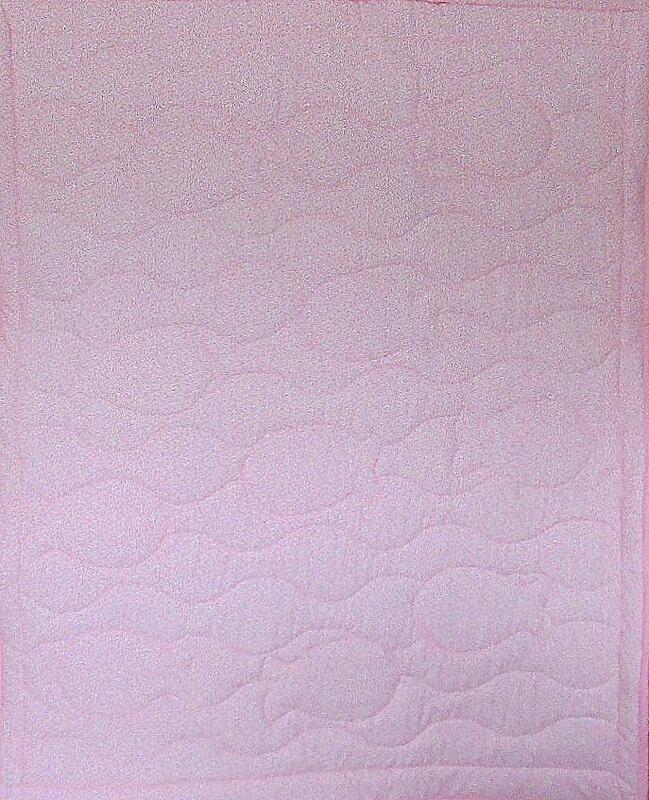 This quilt would be a terrific shower gift for that special baby girl!